Good to know! I do think that Dual-Pixel AF is a fantastic approach for mirrorless autofocus. The Canon 28-70 f/2 R is a full stop faster than the standard 24-70 f/2.8 that many pros use, and that's a HUGE deal. That reduces noise by a full stop in low-light situations. It blurs the background more than has ever been possible. There's a cost, though: size, and, well, cost. It's $3,000. I compare it to the Canon 24-70 f/2.8 L II and the Canon EOS R 24-105 f/4. Steve Huff also has a webpage with the same theme: Canon EOS-R is HERE. Nineteen Things I Like. Five I Don’t. I encourage everyone to read his thoughts there. "The A7III has now been surpassed for me by the EOS R. The Canon has better IQ in all areas for photos. Better color, sharper and more depth to the images, and low light is about the same but the Canon remains sharper and has more pop. The color of the EOS R is a stunner right out of the camera and for me, in body IS is not a requirement, not at all. For 1080 video the EOS R is fantastic and offers that same color quality as the stills. So I have all of these cameras and enjoy them all for what they offer. 1dxII for most video, Leica SL for M lenses, X1D for when I want the Medium Format vibe. I will probably drop the Sony and Olympus soon as I prefer the EOS R in every way over them. I much prefer the Canon colors, own a few Canon lenses now (four L lenses), prefer the Canon ergonomics and menu, and really love the new Canon lenses that are the heart of the system. I know Canon will release a more pro level body eventually (1dx style but smaller) but I see the future in their lenses with are superb." 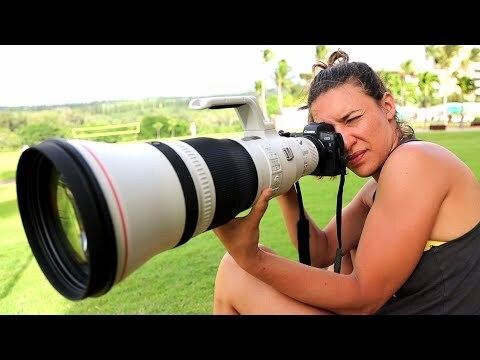 "The Canon has better IQ in all areas for photos. Better color, sharper and more depth to the images, and low light is about the same but the Canon remains sharper and has more pop. The color of the EOS R is a stunner right out of the camera and for me, in body IS is not a requirement, not at all. 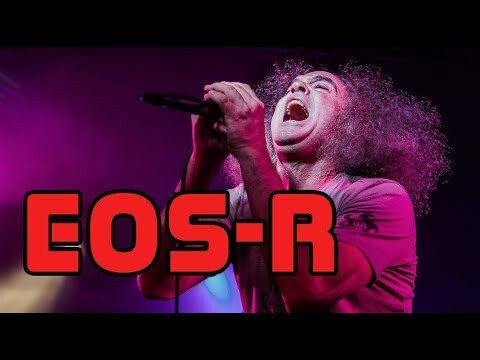 For 1080 video the EOS R is fantastic and offers that same color quality as the stills"
Normally, with a new lens with special qualities vs its older versions I would put that lens on its own thread, but this lens will only fit one camera, the EOS R, and this lens will never work on an older Canon camera. 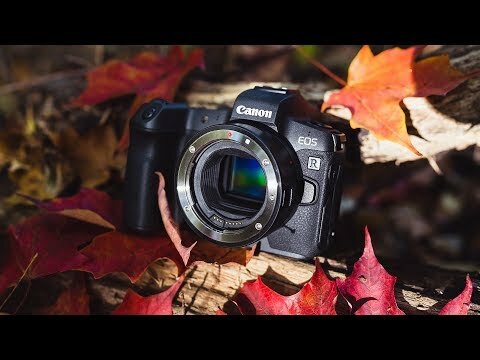 I really hate the bluish-tinted blacks in this video, but he used a Panasonic GH5 to film the review. 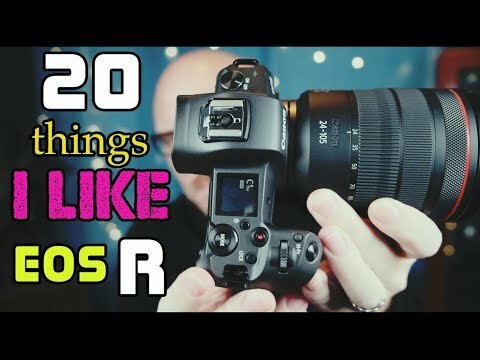 The segments where he uses the EOS R and shows the video output from that body "straight out of camera" are really, really nice! 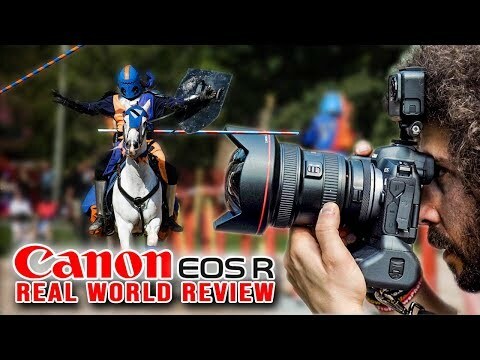 Jared finally reviews a Canon EOS R system in a real-world day of shooting. 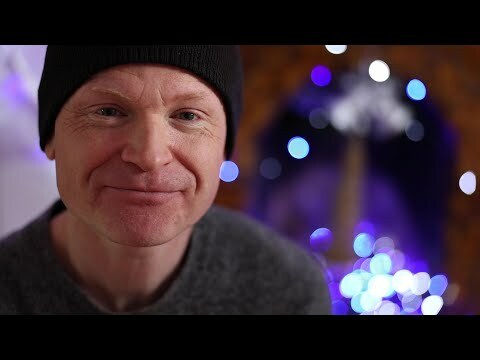 Join Canon Explorer of Light Joel Grimes as he takes you through his portraits session with the Canon EOS R and Canon tilt-shift lenses. Go behind the scenes throughout the entire workflow; from capture, to edit, to print. To learn more, visit https://Canon.us/u398q. After watching that last video, I want a tilt-shift lens. Canon Ambassador Katya Mukhina's latest project, Iceland Elopement, featured a couple on a romantic photo shoot in remote Icelandic locations. Using the Canon EOS R with new lenses Canon RF 50mm f/1.2L USM and Canon RF 24-105mm f/4L USM, the fast lenses allowed exceptionally sharp images, as she captured her couple in the stunning Icelandic remote landscapes. Get an insight into her shoot in Iceland to see how she work with the challenges of the environment, whilst pulling on all the emotions from the couple in her storytelling. 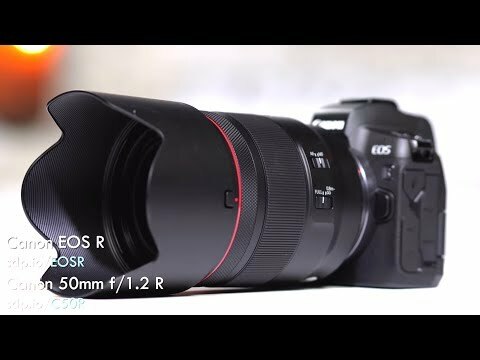 I am very interested in the EOS R system, as a long time Canon family of users ( me, spouse, son, etc ) - Whether the first EOS R body is the one I want I don't know yet. 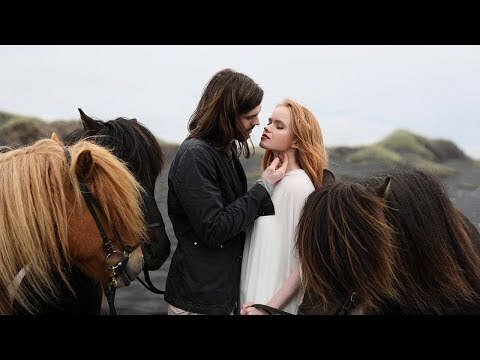 I watched the video of the shoot in Iceland several times, trying to identify where some of the scenes were shot, as I have been to Iceland several times. Some of the scenes seem like they were done for the video appearance rather than an actual capability - I am speaking of the extended hand holding in front of the twirling couple on rough terrain shooting video - since without IBIS this seems likely to potentially have some issues - I KNOW I cannot hold a camera steady in my extended arm for any length of time. I also was intrigued by the couple standing on the iceberg at the ice beach - braver than I am I is all I can say. Standing on icebergs offers so many things for entertainment of viewers. 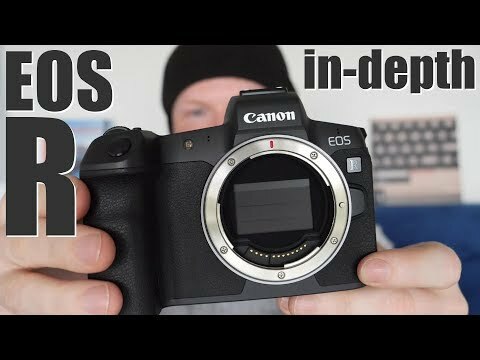 The EOS R system seems to offer some real attractive options which have not really been touted very much. Of course, one can use existing EF Lenses with the BASIC ADAPTER, but the adapter with the built in filter holder looks really attractive - think of being able to see and focus with a 10X ND filter in place. That would be pretty neat for long exposure work. The ability to use the Canon radio controlled speedlite system is also quite attractive to me. I am thinking about adding a SmallHD monitor for long lens work too. Anyway, I am beginning to plan an adding an R system body at some point this year, but not just yet. I want to see what else might be coming before I jump. I would like to see IBIS and higher frame rate shooting speeds, and 2 cards slots for a start. 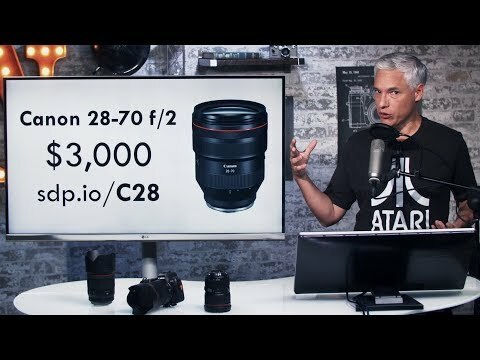 Canon USA just posted a slew of fresh video tutorials relating to the Canon EOS R operations. It's a lengthy list of videos, so I'll list the video topics here. To use, just copy the topic you're interested in and past that title in the YouTube search window. Quick piece-to-camera test with the Canon RF 28-70mm f2 at 70mm f2 on the EOS R body in 1080p. The clicking you can hear is the lens refocusing picked -up by the camera's internal mics. Debuting in September last year, the Canon EOS R is the company's first full frame mirrorless camera. It uses the brand new RF mount, and offers a 30MP sensor with Dual Pixel autofocus. It's a feature set that commercial photographer Morgan Phillips was eager to try out in one of the most stunningly photogenic places on the planet: New Zealand. Friend and fellow photographer Alexandra Ford Hamilton recently joined him on a trip to the country's Milford Sound region. Watch as they travel by land, sea and air, putting the EOS R to work in some breathtaking locations. This is sponsored content, created with the support of Amazon and Canon. 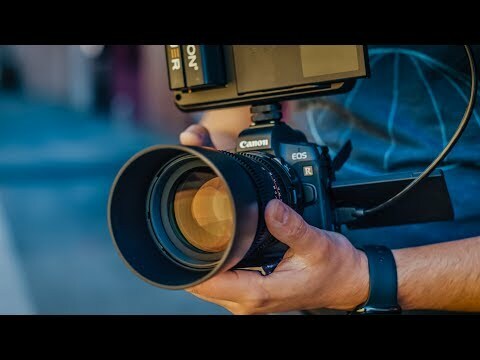 The Canon EOS R combined with the Atomos Ninja V is an amazing combination that makes this my favorite mirrorless camera of 2019! OK, so there is one big video feature the EOS R has over the 5DMKIV, namely 4K video output to the HDMI port. Good to know. To be fair and complete, I believe that in addition to the Canon EOS R, Fujifilm's X-T3 and Nikon's Z 6 and Z 7 can all Record Out to Atomos Ninja V at 4k and 10-bit 4:2:2. Right, the Panasonic GH5 can as well. The point being this is the first time Canon has offered this capability in any photography camera, including the 1DX-II. Canon is very late to the party. I actually had a 1DX-11 on pre-order when they were first announced and I canceled it when I realized it didn't have that capability.